On Tuesday February 7, Run Ret shifted his homemade tractor into gear and crossed onto HLH Agriculture’s sprawling cassava plantation in Kampong Speu province, the start of a well-trodden loggers’ route into the eastern Cardamom Mountains. On Thursday night, three days later, his tractor made the return journey and left the company’s land, his corpse, pierced by three bullets, piled on top of six pieces of second-grade wood. The 27-year-old, a charcoal splitter, construction worker and father of one, was new to timber felling, but he was not dreaming of getting a slice of the multimillion-dollar stream of profits from illegal logging that flow out of the Kingdom’s rapidly disappearing forests. 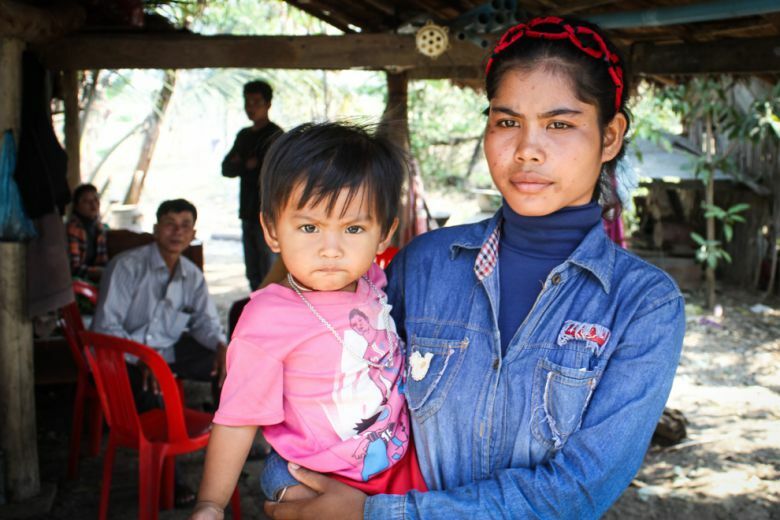 Married two years ago, Ret, of Omlaing commune, Thpong district, had enlisted the help of his brother-in-law Thy Chana, a 32-year-old farmer and small-time timber trader, to fell wood with a more practical goal in mind. According to police, Ret was shot after lashing out with an axe at a group of security guards, some with links to military Brigade 70, who, with one of their wives in tow, had blocked his path with a patrol car and tried to elicit a bribe. But speaking on Saturday at their Oral district home, Ret’s family expressed doubt about the official story. Firstly, they say Ret was not confrontational; in particular, they doubted he would pick a fight with a group of armed security guards. “How was there a confrontation? Maybe if there were three homemade trucks, but alone, one to three? No,” said his father Men Savuth, 56, who also demanded the company “take responsibility” for employing his son’s alleged killer. But, this aside, they added that Ret would not have been shocked by a request for money. With her 19-month-old son on her lap, Ret’s wife, Chet Suoy, said her husband, a keen fisherman and trained metal worker, had taken about $100 with him to pay his way back. He, like all who take the journey, knew the unwritten rules, she said. “The money was to pay on the road to anyone who demands it,” said Suoy, 21, before beginning to weep. Eight years ago, logging baron Try Pheap was given the rights to clear-fell the Singaporean-owned HLH Agriculture concession, linked also to Prime Minister Hun Sen’s sister, Hun Sen Ny, to make way for a cassava plantation. These days, the 10,000-hectare plot in Oral district also has another use, as a gateway for loggers, many small-time, who venture west to pick through the degraded forest as it retreats further into the mountainous Oral Wildlife sanctuary. According to interviews with loggers, villagers and a local activist, the journey is a gauntlet of checkpoints, as local officials, self-styled journalists, soldiers, security guards and gendarmes take their slice as the logs pass by. As the sun rose above the nearby sugarcane on Saturday, Norn, 40, rested on the handle bars of his tractor and drew on a cigarette. His was the first in a convoy of nine, which had been chugging east along National Road 44 towards nearby furniture shops, where each load of half a dozen logs nets about $100. Since leaving the forest, they had passed six checkpoints, including some staffed by Environment Ministry and Forest Administration officials, and others by military police, he said, adding the price was usually about $5 per tractor at each stop. “If we do not give them money, they take our wood, and we come back with an empty tractor,” he said, estimating bribes took about $50 out of their profits. Nearby, a man who said he worked for a local environmental group but refused to reveal his name or his organisation’s, admitted to having shaken down the loggers for about $2.50 per tractor. “If we do not take money from them, how can we survive?” he asked, claiming soldiers took bigger cuts. He explained that although HLH wasn’t the only way out of the forest, it was the cheapest. After setting off in their tractors, Ret and Chana arrived after nightfall at their destination, a mountain in Trapaing Chor commune, the latter said on Saturday in an interview from his home in Thpong district. The pair, he said, slung their hammocks, erected a tarp for shelter and prepared their axes and chainsaw for the next day. Each was aiming for about six logs and as they went to work, the forest was teeming with others like themselves. Their loads secured, the pair headed home on Thursday afternoon. The trip, Chana said, started with a “bad omen” when his tractor tipped under the weight of the wood. At about 4pm, the pair reached the first of 15 checkpoints, handing over $2.50 each, he continued. They reached HLH by 6pm and, as was customary, waited for permission to cross, which usually entailed passing two or three checkpoints. This time, he recalled, guards had lowered their price from $2.50 per tractor to about $1.25. The scene was busy, he added, as more than 20 tractors waited for the green light. Ret called his wife, saying they would be allowed to go soon. “He asked me to cook rice for him,” Suoy recalled. The four people arrested for Ret’s shooting were last week charged with murder at Kampong Speu Provincial Court and placed in pre-trial detention. According to police, HLH chief guard Chhorn Vuthy allegedly fired three bullets from an AK-47 into the victim. He was with deputy security chief Keo Vanna, Vanna’s wife, Cheng Champey, and security guard Duong Pov. As well as the automatic rifle, the group was found with Royal Cambodian Armed Forces number plates, ammunition and military fatigues. 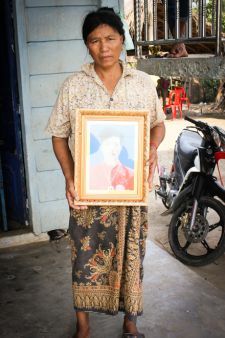 Vuthy and Vanna, according to Kampong Speu police head of serious crimes Sam Sak, have military ID cards issued in 2010 listing them as captains in Brigade 70, a military unit with a history of allegations against it ranging from political assassinations to protecting illegal timber traders. However, the officer and other provincial and commune authorities on the weekend could not confirm if the men were active military personnel. Defence spokesman Chhum Socheat and officers from Military Region 3, which includes Kampong Speu, were unreachable. A staff list dossier, clearly visible at the entry checkpoint to HLH, lists Vuthy as “section leader”, Vanna as “section deputy” and Doung Pov as “security”. At least seven other personnel are listed as “army”, and four more “police”. HLH did not respond to an email by press time regarding the case and who they employ as security. Concessionaires regularly hire soldiers for security. Many firms also officially sponsor particular units, which are often deployed as muscle to protect and advance company interests. Nearby, soldiers patrol the sugarcane fields belonging to ruling party Senator Ly Yong Pat, who sponsors Region 3 battalions 301, 302, 303 and 313, according to documents. 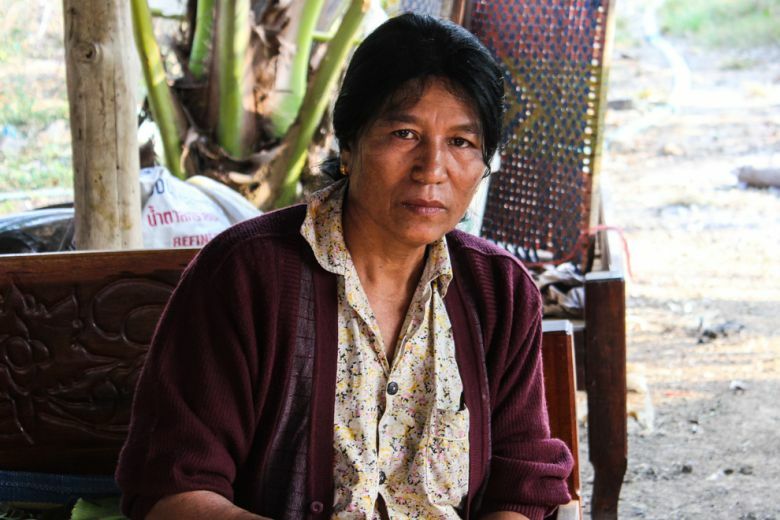 According to veteran anti-logging activist Marcus Hardtke, the arrangements further call into question the accountability of Cambodia’s much-criticised military. “They work for the highest bidder, and that is not the local commune chief,” he said. At 7pm, as the light disappeared, Ret and Chana got the go-ahead from guards, and set off down the red-dirt road through the HLH plantation. A few kilometres in, Vuthy and his co-accused drove past in a Toyota Corolla sedan, stopped and signalled for the pair to stop. They did not comply. “We were going downhill; we could not brake, the tractors would just go faster,” Chana said, saying he had fallen behind Rut by about 500 metres by this point. The sedan, he said, then disappeared out of the small arc of light from his headlamp and sped off toward his brother. Several minutes later, shots rang out. “I thought the tyres had blown out. I got about 100m away and the car drove off. When I got there, [Ret] was about 4 metres from his tractor near the edge of the road. I tried to push his chest and check if he was breathing, but he was already dead,” he said. Authorities came two hours later. A man in a military uniform offered to take his complaint, while Ret’s body was loaded onto his tractor and driven away. Questioned the next morning by police, Chana said on Saturday was still unsure why they shot his brother-in-law. Though the axe was about a metre from his brother, he said he doubted Ret would have tried to attack an armed group. “Maybe it was because we did not stop; so this was a lesson – you have to stop,” he said. This entry was posted in environment, Forest, Forest, Human Rights, Kompong Speu, Land, Phnom Penh Post, protect natural resources and tagged Cambodia, environment, Forest, Land, Phnom Penh Post. Bookmark the permalink.